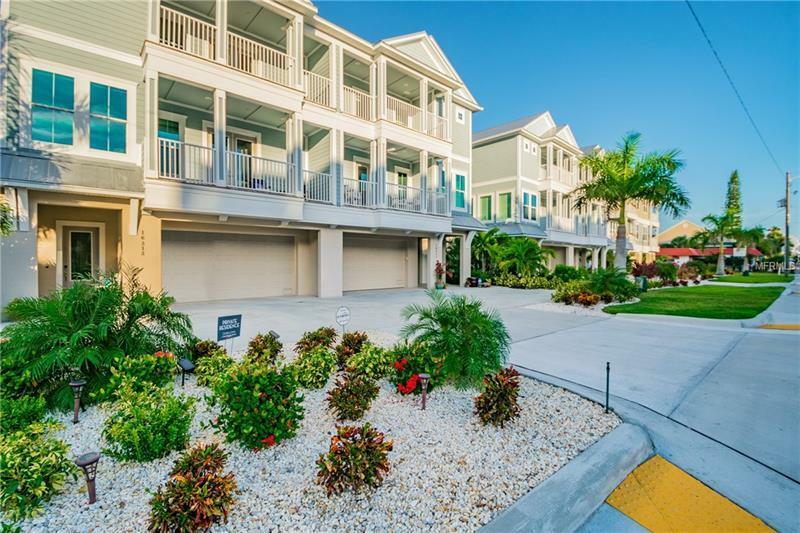 DON'T MISS THIS 2017 DAVID WEEKLEY HOME LOCATED ON GULF BLVD ON REDINGTON BEACH JUST A FEW STEPS FROM THE GULF. NO HOA! PERSONAL ELEVATOR ACCESS FOR ALL 3 FLOORS! You will be amazed when you enter this 2403 sq ft beauty! This home features quality construction high-end finishes wood floors french doors crown molding 10 ft ceilings and 2.5 car garage. As you enter take your private elevator to the 2nd floor where you will be greeted by a gourmet kitchen living area with a large open floor plan sun room a half bath and a private balcony with a view of the beach. The kitchen boasts quartz countertops five burner gas cooktop double oven wine center pantry soft close cabinetry a hidden microwave drawer and a large island. The 3rd level includes 3 spacious bedrooms 2 baths and a large laundry room with folding table. The master suite has a private balcony with a gulf view a tray ceiling a walk-in closet and a spa shower bath. This David Weekley Energy-Saving Home was built to Hurricane Codes with Impact Windows Hurricane Straps and a Reinforced Garage Door. The 2.5 car garage has two extra storage rooms and leads to a back patio with a pet friendly fenced backyard. Additional features include outdoor shower sprinkler system Sentricon system to prevent termites wiring for a security system and a 10 year transferable Home Builder's Limited Warranty. This exceptional home in a wonderful beach community is a great opportunity to own your own piece of PARADISE!